Grease is a major cause of most drain blockages as it can solidify inside the drain and cause debris to build-up. Not only does this begin to cause clogging issues and an eventual blockage, but this will also lead to bad odours and smells inside your kitchen. Here is some expert advice from a licensed plumber on how to remove grease build-up from your drain and save your home from water damage. It must be said, preventing the issue is the best way to solve the issue! Grease, fats and oils should never be poured down the sink. Food items such as butter, margarine, lard, etc. are a big ‘no’ when it comes to washing them down the drain. They should be wiped off with a paper towel and thrown in the bin or poured into an old jar and tossed away. If you are not using an anti-grease soap, then you are wasting your time. Without the right dish soap items in your drain will continue to build-up and not have anything fighting to break them down and prevent your sink from clogging. An anti-grease soap will also prevent grease from sticking to the pipe and building up in the first place. If you can see the water struggling to drain, then you need to take action before it becomes a serious blockage. Try using boiling water and vinegar mixes or boiling water and backing soda, to break down the residue causing the clog. Let it sit in the drain and fight the grease for at least 30 minutes before testing to see if the water is draining properly again. If, not it may be time to call in a plumber. It is much better, and far more cost effective, to call in a plumber when the issue is minor rather than waiting for a major blockage problem to happen. We all know that a blocked drain can become much more than an inconvenience. Blockages can become a health risk to your family and loves ones. Sinks, basins, tubs and baths can get blocked or start to drain slowly due to a build-up of grease, soap, scale and hair. M.J. Walker Plumbing have a number of ways to clear blockages in bathroom and kitchen fixtures, as well as improving the rate of flow. Clearing fixture blockages requires the correct tools and technique. That is where we come in. Sometimes you need more than just a plunger to get the job done. 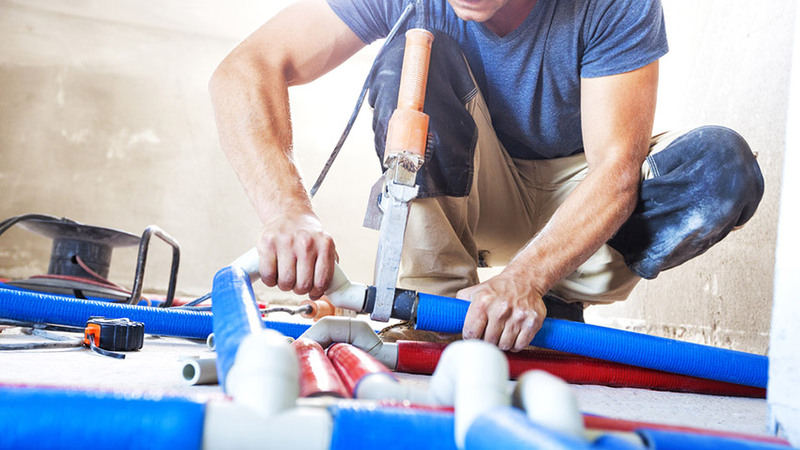 Our Gold Coast plumbers have the skills, experience, and tools necessary to keep your pipes flowing.